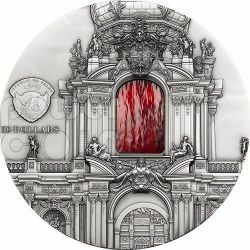 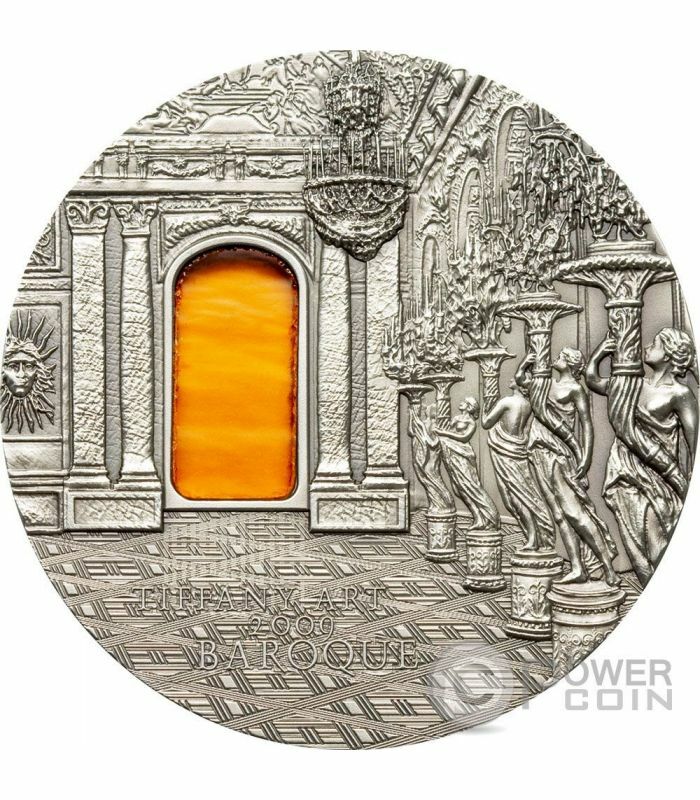 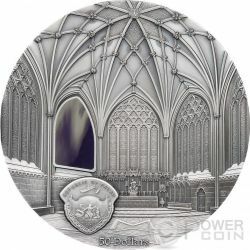 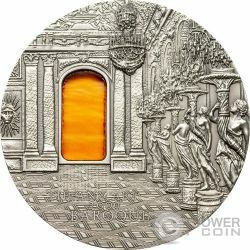 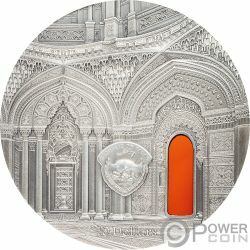 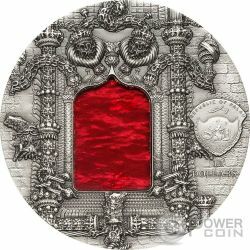 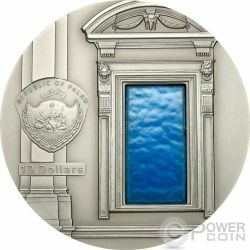 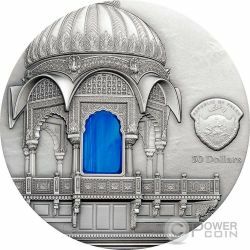 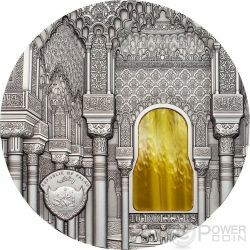 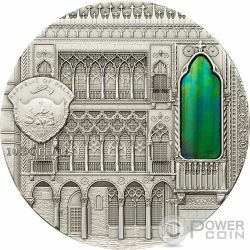 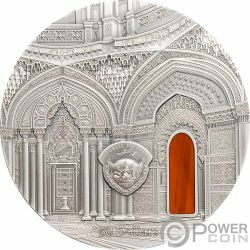 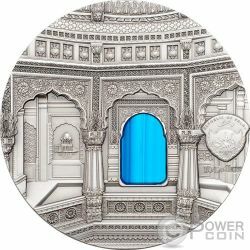 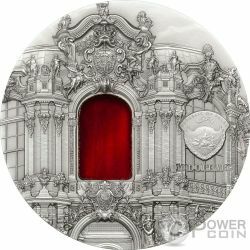 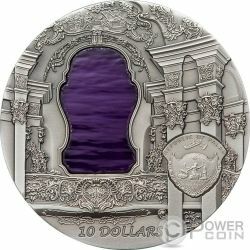 This Tiffany Art 2009 2 Oz Silver coin is dedicated to the Hall of Mirrors in the palace of Versailles, to the Parterre d’eau and to the Baroque epoch in general. 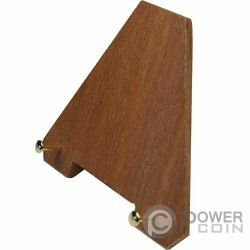 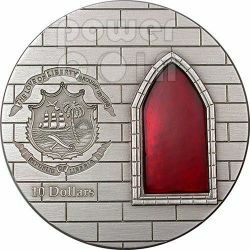 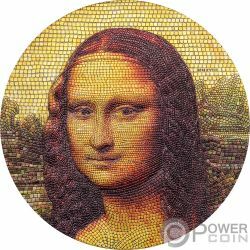 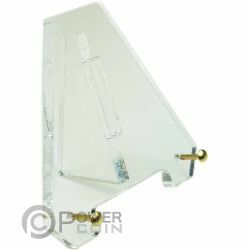 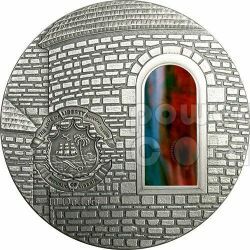 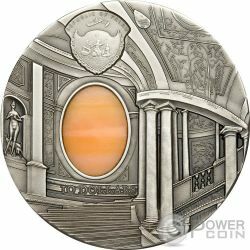 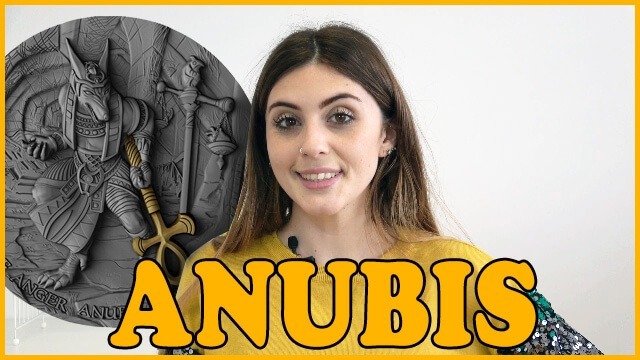 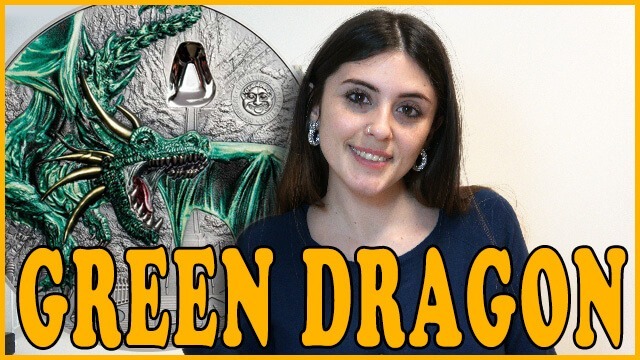 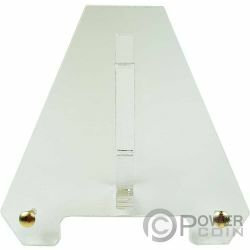 The coin has a yellow and orange glass pane insert according to the Tiffany glass tradition, has an Antique Finish quality and comes in a case, along with the Certificate of Authenticity. 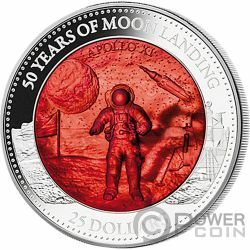 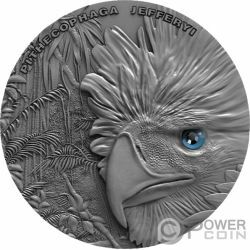 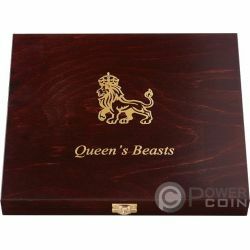 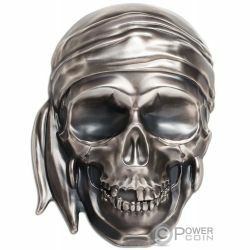 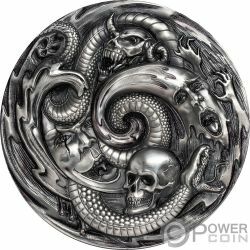 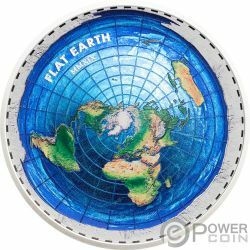 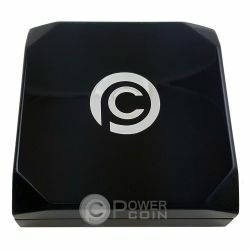 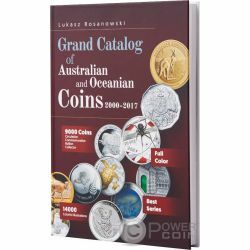 Limited mintage to 999 pcs worldwide. 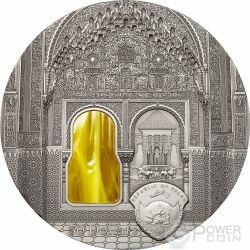 The reverse of the coin gives an insight to the magnificently equipped Hall of Mirrors, in the palace of Versailles. 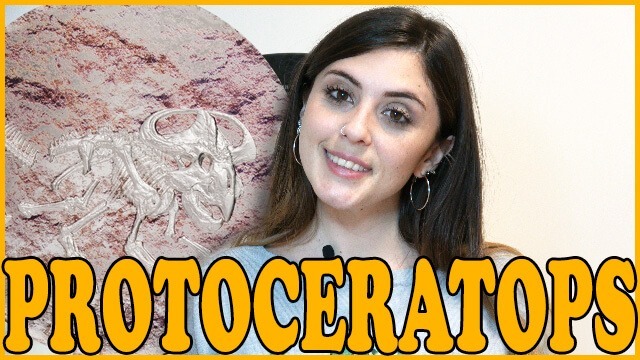 On the bottom of the reverse, the inscriptions: “TIFFANY ART” – the name of the coin, “2009” – the year of issue and “MANNERISM” – the name of the epoch. 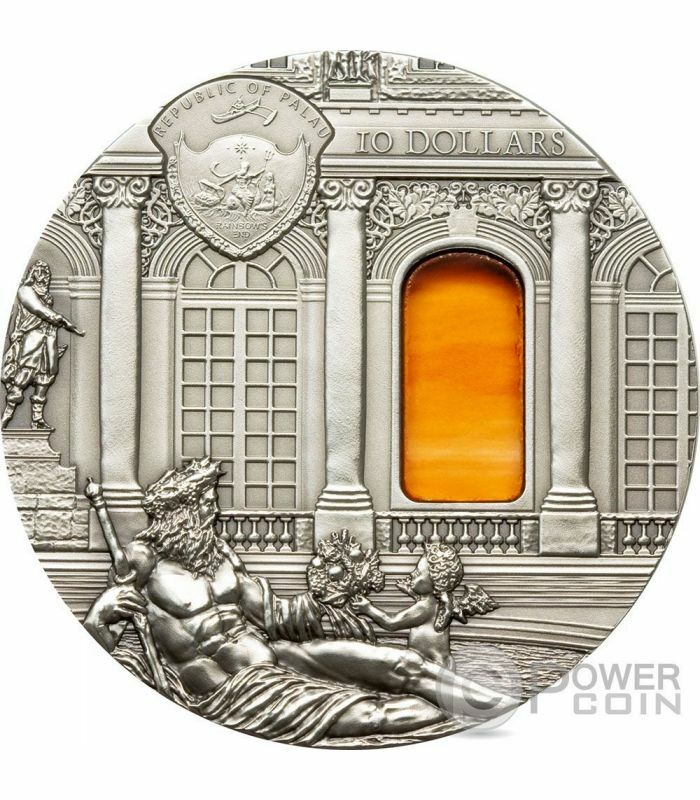 The obverse shows the fountain of Parterre d’eau and in the background the palaces front garden. 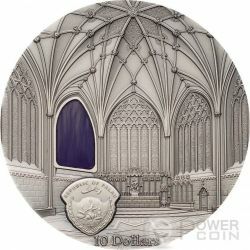 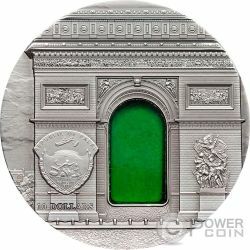 The design also presents the Coat of Arms of Palau and on the bottom of the obverse, the inscription: “10 DOLLARS” – the face value.